Max Guest House, a guest house in the heart of Patong. It is conveniently located on Rachapatanusorn road just only 5 minutes to Patong beach. 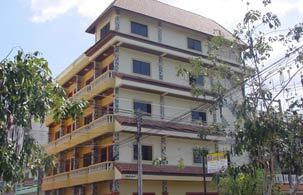 Max Guest House provides 28 clean rooms with friendly service. With our complete facilities and good services, we can make your stay at Max Guest House a pleasurable and memorable one.